I have used dozens of process management applications—from Asana and Basecamp to Trello and beyond. 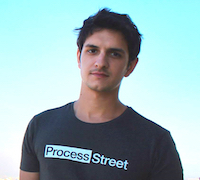 But the best business process management software application in my experience is Process Street. 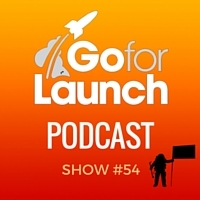 So I was excited to speak with Vinay Patankar, cofounder and CEO of Process Street, on the Go For Launch podcast. Process Street is the simplest way to manage your team’s recurring processes and workflows. You can use Process Street to do things like easily setting up new clients, onboarding employees and managing content publishing (or podcast production and promotions workflows!). Process Street is a venture backed SaaS company and AngelPad alumnus with numerous Fortune 500 clients. When not running Process Street, Vinay loves to travel and spent four years as a digital nomad roaming the globe and running different Internet businesses. Vinay and I had a wide-ranging conversation about the benefits of process management and why Process Street is helping everyone from entrepreneurs to Fortune 500 companies 10x their business results with more effective, repeatable processes. Check out the many other features and benefits of Process Street to automate your business processes.